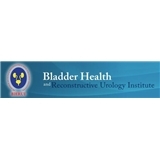 Bladder Health & Reconstructive Urology Institute (Miramar) - Book Appointment Online! Urinary disturbances can affect men and women of all ages. At the Bladder Health and Reconstructive Urology Institute our mission is to restore our patients’ dignity and quality of life. Bladder Health means the normal control of urination free from pain, bothersome urgency or leakage of urine. The key to the successful management of our patients is a fast and accurate diagnosis as well as setting realistic goals and expectations in order to ensure patient satisfaction. Come and see the positive difference that we can make in your life. Please call the office to confirm your appointment. Thank you.